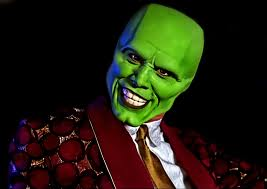 I recall that delightful Jim Carrey starrer ‘The Mask’ of almost two decades back. In the movie, merely putting on the magical mask would at once transform the otherwise meek and submissive Stanley Ipkiss (Jim Carrey) into a brash, uninhibited and intractable guy with super-hero powers. Predictably the Mask was able to achieve all that his alter ego Ipkiss could only dream of. What if we could lay our hands on such a magical mask and make all our dreams come true? As I think of this, I realise that I too have a mask which I wear. Where did this mask come from? I think back into my past to find an answer. Growing up, in school and at home, I was ‘taught’ to smoothen the jagged, impulsive edges of who I was, to conform to all that surrounded me. I quickly ‘learnt’ to keep my jaggedness and impulses under wraps for fear of being branded a rebel. This need to conform, to show up the way others wanted me to, brought the first layers of my mask. At work, I remain conditioned to use the authority vested in me by my job title. Over the years I have ‘learnt’ to show up in set ways to demand respect and results from others. 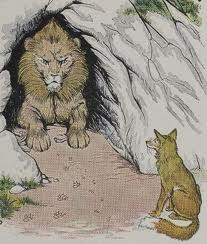 Day in, day out, this need to show up as someone larger than who I am, a know-all superior guy, seemingly in control, has made up more layers of my mask. I see that the mask has served me to achieve outcomes. But as it has served, it has also hardened to become an intrinsic part of who I am. So intrinsic that today it is the mask which mostly ‘runs the show’, not the authentic me. I have become the Mask. That imposter strutting on the world stage, relegating the authentic me into the dark recesses. “What could be the way forward?” I ask. ‘What if you could redeem your true self from the role you have got conditioned to play? What if you could forget what you want to do? What if you could just be who you want to be?” says the departing voice. But what would this take? Am I prepared to embrace openness and be vulnerable? Am I prepared to let go of my fear of rejection? Am I willing to surrender? Like Ipkiss, I decide to let go of the mask. As I negotiate this rarely trodden path to mask-freedom, I luxuriate in the myriad human connections, their love and sharing that approach the authentic me. I see now what a great trade-off this has been.